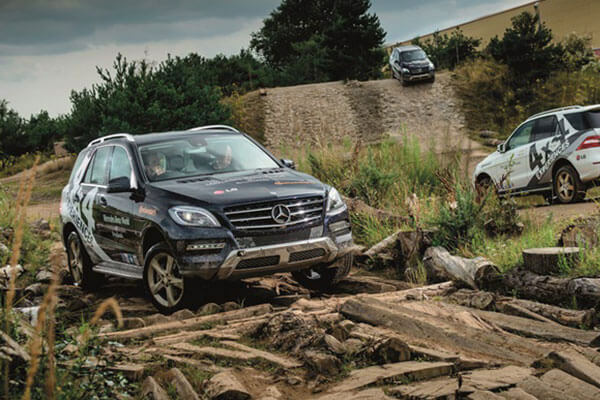 The 1 hour Mercedes-Benz off-road driving experience is the perfect way to drive your business forward. 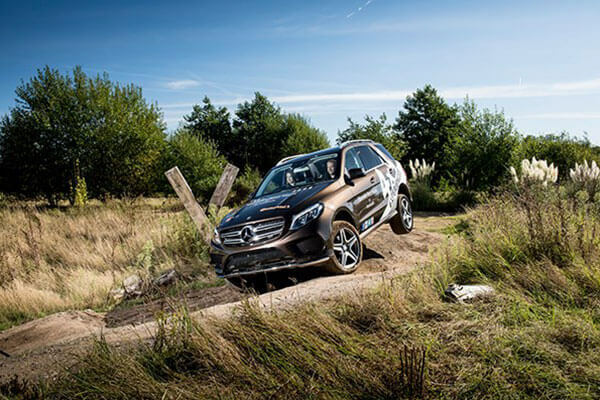 This corporate driving experience gives you and your guests a great opportunity to drive the amazing state of the art Mercedes-Benz GLE 4x4. Experience the thrills of off-road driving over 10 acres of off-road terrain that has extreme inclines, steep declines plus water crossings, v gulleys and other obstacles. 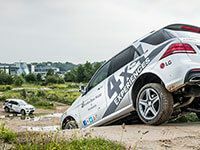 This experience is designed for the driver to get hands-on with the 4x4 and truly understand what this vehicle is capable of. This is the ideal corporate driving day. The price is based on 6 guests for a corporate driving experience. Up to 24 guests can be accommodated, please enquire for a quote. *Extras such as high-speed passenger rides, Collision damage insurance, Catering and conferencing facilities can all be added. Please enquire. Please allow up to two hours at the venue. In the case of adverse weather, your event may be postponed or cancelled. Please refer to the events team terms and conditions, which can be requested. Extras such as high-speed passenger rides, Collision damage insurance, Catering and conferencing facilities can all be added. Please enquire. This special offer allows you to drive one of the most famous supercars of all time the Porsche 911. Take it for a spin for 5 amazing laps at the Teesside Autodrome circuit. Gift vouchers can be purchased which are open for ten months.